Breakfast is arguably the most important meal of the day, and yet it is the meal most frequently skipped, or for speed many of us opt for cereals. Unfortunately most cereals, even ‘healthy’ brands, have enormous amounts of sugar in them, and deceptively small portion sizes, so instead of eating the natural whole grain breakfast advertised on the box, we end up eating a ton of sugar instead. In this class you’ll learn easy, delicious and quick ways to get an easy, nutritious breakfast without reaching for a packet, and with sugar content you control. Look and learn! This Quinoa Breakfast Porridge is a great alternative to oatmeal and it packs in a lot of protein. You can make it from scratch, or if you have leftover quinoa, you can re-heat it with spiced milk. For a non-dairy version, feel free to substitute soy, coconut, or almond milk. And use any toppings you’d like – as you’ll see we’re just giving you a guideline for an easy, healthy, delicious breakfast. Enjoy! I love Avocado Toast. It’s so easy and a perfect way to snack on this creamy nutritious fruit, especially for those on chemo, even if you’re on a bland diet. 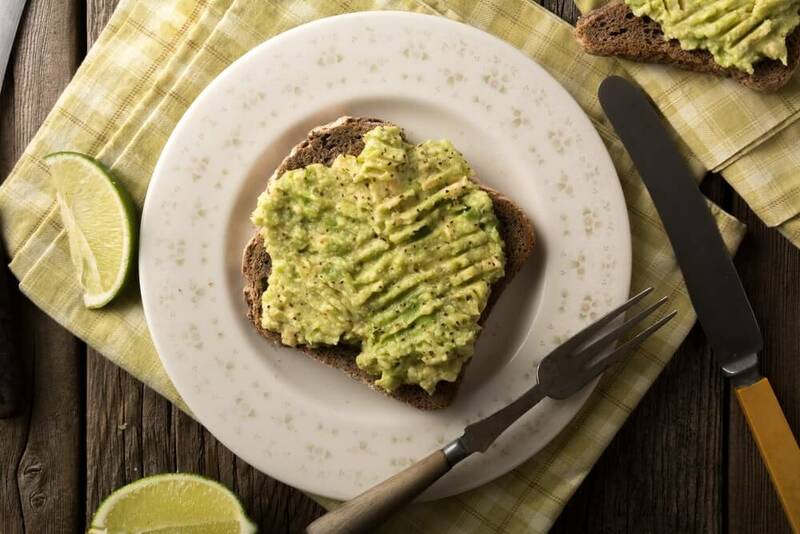 You can change up the wholegrain bread for white sourdough, and coming from a hard peel fruit, the flesh of a freshly opened avocado is safe to eat, as long as you’ve taken care to wash the skin well before cutting into it. My favorite way is to eat this treat is just sprinkled with good sea salt and some hot sauce. If you think it’s odd to drizzle agave or honey on it, think again. In Brazil, they eat avocado for dessert with sugar and cream! Enjoy! This Overnight Oatmeal recipe comes straight from the home of one of our recipe testers at Drexel University. It’s a great way to ensure a good meal in the morning, even if you have to run out the door in a flash. The oatmeal will soak in all the milk and flavors from the spices overnight – making it the perfect, simple, nutritious breakfast. Look and learn!